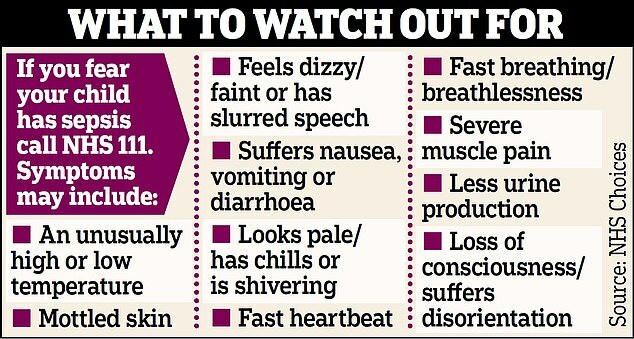 A 15-month-old baby girl died from sepsis after being sent home from hospital with ibuprofen and Calpol. 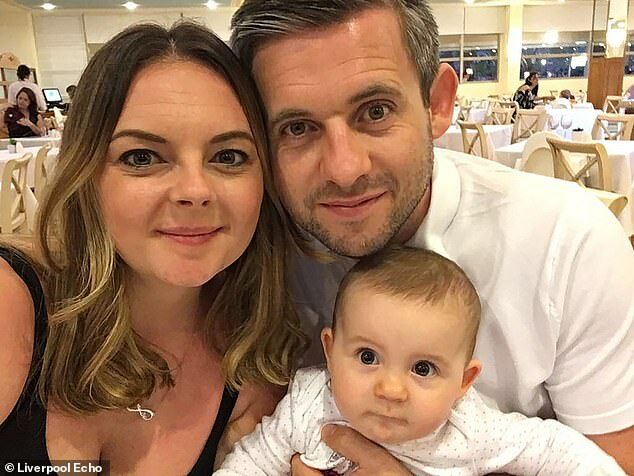 Evie Crandle died on April 16, last year, two days after her parents – Samantha McNeice and Phil Crandle – took her to Whiston Hospital. Today the devastated couple told an inquest how their ‘beautiful’ baby girl had been ‘let down in the worst possible way’ by medical staff. In a heartbreaking statement Samantha, who is expecting her second child in six weeks’ time, said she was ‘broken beyond repair’. 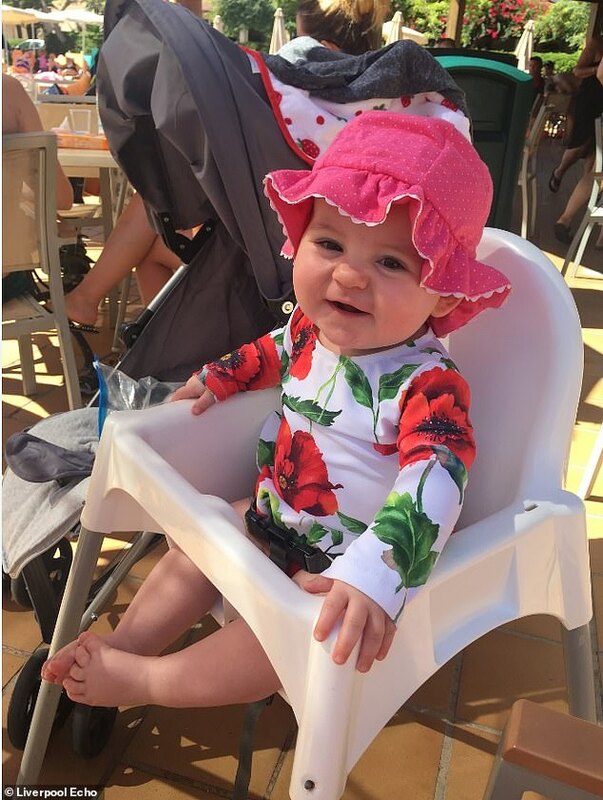 Evie Crandle, pictured, died on April 16 last year, two days after her parents – Samantha McNeice and Phil Crandle, pictured – took her to Whiston Hospital. Through tears, 31-year-old Ms McNeice told Liverpool Coroner’s Court: ‘Our lives were built around Evie. She was the centre of our universe. ‘We have lost our daughter and have to face the fact we knew what was wrong with her. ‘I was petrified but stupidly allowed myself to take comfort from the fact that a medical professional was telling me ‘it could be but it’s most likely a urine infection’. ‘I feel like I failed Evie in the worst possible way. Liverpool Coroner’s Court heard how Sam and Phil arrived at Whiston Hospital with their daughter at around 11.30am. The couple told the court how their usually ‘playful’ daughter had been vomiting, was lethargic, had blue lips, cold hands and feet and a temperature of 39.9 degrees C – more than two degrees over normal body temperature. Two paediatric nurses who saw Evie – Kay Archer and Penny Hartley – both told the court how they ‘forgotten’ to fill in sepsis documentation following their observations and had since had more training. 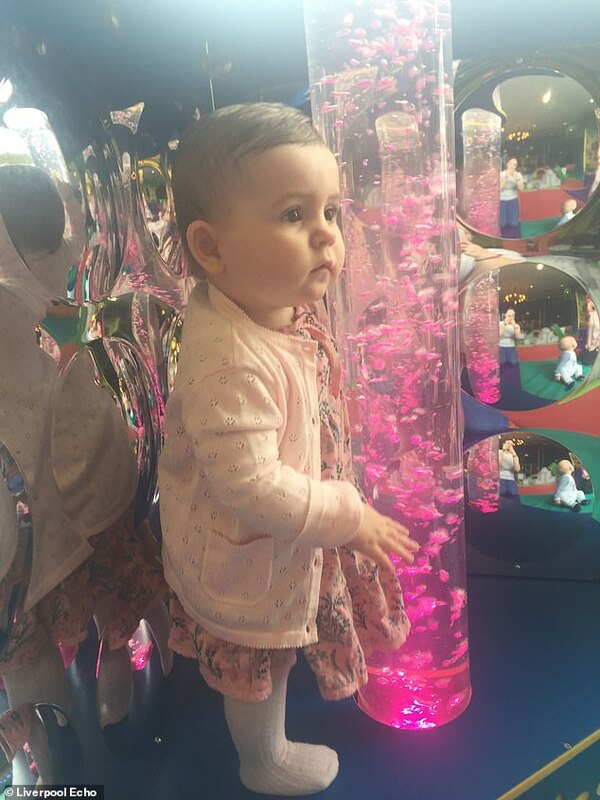 In medical notes taken by paediatric nurse Kay Archer, Evie’s heart rate was recorded as 204 beats per minute – the average for a child of 15 months is 100 to 150. Meanwhile her breathing rate was 44 – the average is 25-35. The court heard how both symptoms appear as flags on the medical septic screening tool guidelines. Mrs Kay told the court how she believed the symptoms Evie was presenting showed a ‘possible water infection’ and requested a urine sample be taken. When asked by lawyer Vanessa Cashman, who is representing the family, did Mrs Archer remember the family asking her ‘could this be sepsis?’ she said ‘I don’t remember the family asking that’. Mrs Archer was also asked why she did not fill out the sepsis pathway, on the triage forms. Mrs Archer said: ‘I regret not filling in that and since this incident I have had further training and I have learnt from my mistakes. ‘Evie did not present to me as a seriously unwell child, she presented as unwell but not seriously unwell. Evie’s mother Samantha, originally from Warrington, told the court how she and her partner were ‘pretty well educated on sepsis ‘ and knew the signs and symptoms. Partner Phil, from Whiston, added: ‘We asked about sepsis straight away and even sat under a poster in the waiting room, but we were told its more likely a urine infection by a band 6 nurse and felt such relief despite still feeling such fear. ‘They could never let a 15-month-old down. But they did. ‘If I could go back knowing what I know now I would’ve screamed the place down until she was treated, but I can’t and this fact fills my mind with guilt and regret. But what more could we do? The court heard how the family were discharged at 4.30pm with ibuprofen and Calpol, but Evie’s parents brought her back to hospital just two hours later because they were so concerned. Dr Jennifer Hale saw Evie on her return to hospital, but despite there being two indicators on the septic screening tool, told the court ‘I didn’t feel that she presented as a septic child, she was alert, drinking and interacting with her parents’. And it was only 15 hours later, following her first admission that Evie was given IV fluids, on the request of Dr Hale. Evie died two days later at Alder Hey Children’s Hospital, where she had been transferred following an admission into critical care. Dr Hale told the court: ‘I wasn’t asked the question by her family if it could be sepsis. If I had it would have been an amber warning to me, if I had been asked that question.